U13 Girls Rugby Festival at Yeovil. 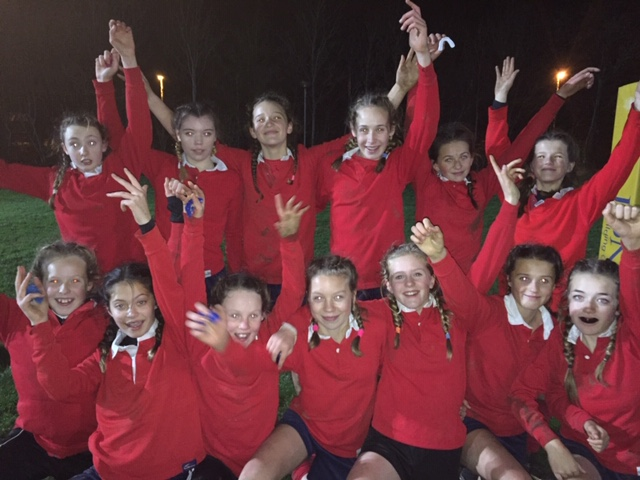 There was an exciting opportunity for our rugby girls to partake in a schools festival at Yeovil RFC under the lights. 1st game was against Holyrood - we knew this would be a tough game as Holyrood have a great rugby reputation. Hugh Sexeys won the game comfortably 4 tries to 1. Great running rugby skills playing down the hill enabled us to run on to the ball with pace which allowed us to crash home the tries. 2nd Game was against King Arthurs . Sadly we lost Polly Fowler due to a back injury,but Hugh Sexey's won this game 7 tries to 0. Hugh Sexey's game plan was to support each other when we were on the attack, and keep the ball alive, this proved to work as when we were tackled we were able to pop the ball to an support runner to crash home. It was a VERY exciting game to watch. 3rd game against Westfield - Westfield had one or two very strong invasive players who clearly were very experienced and strong. The girls decided that in this game we needed to have quick line speed in defence, and tackle hard to stop them. It was very pleasing for me to see how they grouped as a team and came up with a plan themselves. They were excellent, winning the game 4 tries to 2. 4th game against Gryphon - playing down hill the girls knew this was our last game and they wanted to finish with a bang, which they certainty did, playing superb rugby moving the ball from wing to wing and creating lovely space for our runners to attack. We won this game 4 tries to 1. All the girls were just fantastic - it was great to see 100 girls turning up to play rugby, and I can honestly say that all the girls had great fun; to see them all smiling and enjoying the games was definitely worth the late travel home! Thank you to Mr Jackson for driving the mini bus to Yeovil, and for giving up his time to take the girls - very kind of you. Well done to all the girls - you are a credit to your school and your clubs.